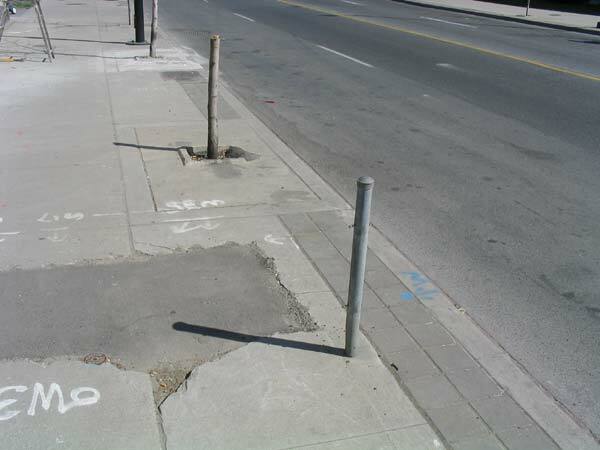 There’s a whole stretch of Dundas Street West, east of Keele Street, where all the Bicycle posts have lost their rings. It’s quite curious. Have they been stolen? Is it vandalism? Is there an official reason behind it? With summer fast approaching and fairweather cyclists snapping up all the available lock-up space, I don’t like to see unusable bike posts. 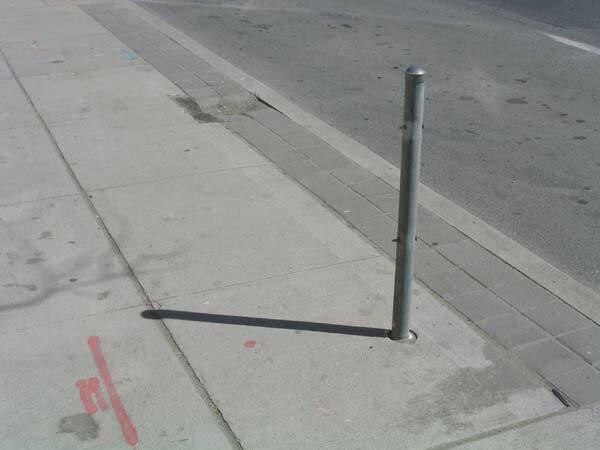 And here we have the ultimate combination – the ringless bike post next to the cut off stump of a poor little failed street tree. 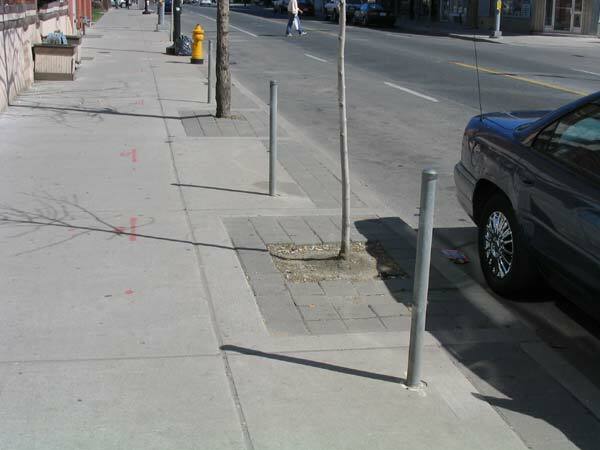 Toronto’s uplifting streetscape in the flesh! FYI – there’s a cool new coffee shop with excellent fair trade organic coffee right around here – just across the street from McBride’s motorcycle shop (before you grimace, let me tell you it was $1.50 and was a great cup of coffee – organic milk and cream as well). As a matter of fact, the whole area’s hopping these days. Having grown up in the Junction, I’m pretty happy with the way things are going. While you’re in the area check out Pandemonium, a great used book shop at Keele and Dundas – or if you can make it further west, the refined The Book Exchange stocks only very good condition used books – but don’t go by their website, it’s the pits. Pandemonium ,on Dundas West,is a great used book and record store,but don’t forget Dencan Books and Magazines at 3113 Dundas West,these 2 stores with their wonderful selections make the Dundas West/Junction area the best used book and music area in all of Toronto.